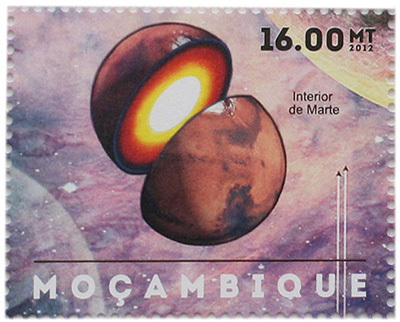 Mozambique issued this stamp group in 2012 after Curiosity's successful landing. My artwork of the Mars interior appears on the center stamp. 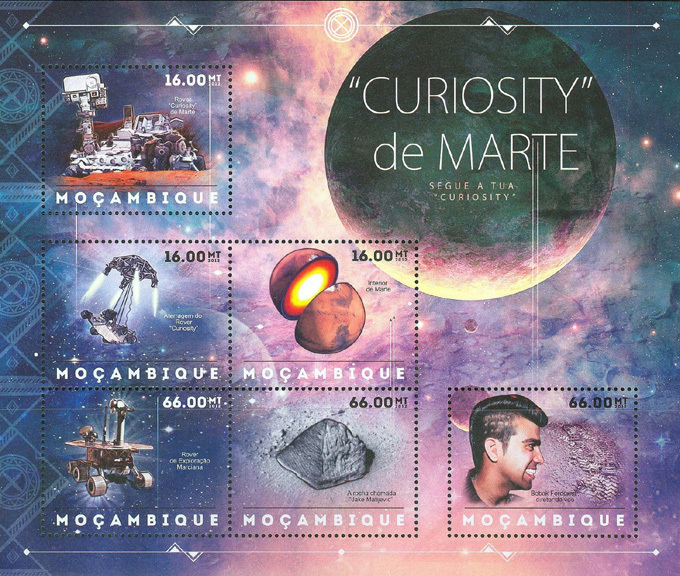 My JPL colleague Bobak Ferdowsi of the Curiosity Mars Rover team appears on the stamp at lower right.